John’s Sport Shop in Gardner offers personalization services including in-house embroidery and heat-seal transfers on clothing, and engraving on trophies, plaques, and awards. If you require the duplication of more complex designs such as full color photos or artwork, we can accommodate you by sending your items to one of our expert vendors for imprinting. We offer a quick turnaround time and friendly service. Bring in or email your logo or team insignia and we'll put it on shirts, hoodies, jackets, caps, and more! With our state-of-the-art embroidery machine, we can embroider your colorful team insignia, company or event logo on shirts, hoodies, uniforms, jackets, caps, bags and other clothing. Come by the store, call 978.632.0620, or email us to discuss your embroidery projects. 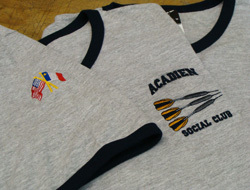 Heat-seal transferring is an economical process that allows us to imprint your name or design on your clothing. 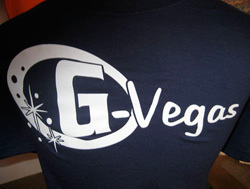 It's perfect for for simple one-color designs such as numbering and names on team shirts. Come into the store, call 978.632.0620, or email us for more information about our in-house heat-seal transferring. 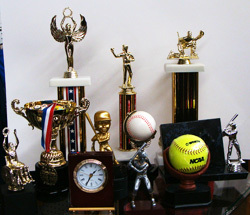 Did you know that we carry a large selection of sports themed trophies, plaques, and awards? We can engrave your message and names on them right here in the shop. Stop in, give us a call at 978.632.0620, or send an email regarding your trophies and awards.